Terms & Conditions - SmartrCommerce - disruptive eCommerce, giving back. 1. What Smartr software is and what it does for vendors, customers, and promoters. No matter what brand is using Smartr software, whether it is SmartrMarketing (an app where you can purchase this software for your business), a SmartrHoldings company, or a vendor (brand or company white-labeling Smartr software for their business), Smartr software allows companies to easily setup an Active Affiliate program or simple ecommerce program for their customers. This allows customers to actively refer other customers to a brand, and earn income as a promoter when someone makes a qualifying purchase under someone’s shared referral code, and generally, allows those vendors to sell their products and services to customers. No matter what brand you purchase from, as the chosen merchant services provider, you will receive a receipt from SmartrCommerce. 2. How vendors get paid. Vendors are Smartr customers who are white-labeling Smartr software for their business(es). Vendors get paid for their brand’s purchases weekly, on Fridays, after they have earned $100 dollars, and each product or service sold has passed the 14-day return policy that is put in place for all Smartr brands and Smartr vendors, although any brand can choose to have a zero-return policy. This means there can be a delay of up to 2 weeks before your first payment from SmartrCommerce. A 3% + .35 cent processing fee is attached to each transaction, and vendors should expect to receive form 1099-K by January 31st of the following tax year. Processing fee is subject to change without notice. 3. How promoters get paid. Promoters are users or customers who decide to share their assigned referral code with other users or customers. When those customers make purchases with any Smartr brand or Smartr vendor, they may be able to receive a percentage of those transactions as a reward for referring new customers to the participating brand. The amount per transaction is subject to change without notice, and any amount earned in any brand is independent of all other brands or transactions. Once a person has earned at least $100 dollars in earnings within any solitary brand, and so long as those earnings from a purchase have passed the 14-day return policy that is put in place for all Smartr brands and Smartr vendor purchases, earnings will be paid weekly, on Fridays. In order to receive earnings, you will have to authorize SmartrCommerce to send you a payment via ACH into a qualifying checking account, as well as fill out a 1099 for Smartr. 4. How customers can become promoters. Customers can become promoters by sharing their own referral code. Earnings are independent of discounts or purchases. Each independent brand using Smartr software assigns its users with a unique referral code and network of users. This means, your earnings made in one brand do not reflect earnings made in another brand, and terms of payment for those earnings can vary by brand. Please read the FAQ with any brand for questions about earnings qualifiers. Each brand will have a FAQ from both Smartr and any Smartr vendor using Smartr software. 5. Return policy, and returns in regards to vendor and promoter earnings. Any and all brands using Smartr software have a maximum 14-day return policy. This is because Smartr brands and vendors using the software are totally awesome, and deliver great value to their customers, which minimizes the needs for any returns. We also have an affiliate commission program in place that needs to run efficiently, so this return policy makes sure all customers, vendors, and promoters are happy with each transaction. Any brand or vendor can choose to have a zero-return policy. Promoter earnings may be subject to adjustments for chargebacks or refunds. If a customer purchases a product or service after having used your referral code, and then later returns an item, your earnings amount will be adjusted for the amount of earnings initially paid for that purchase. To register and become a “member” of our software, you must be at least 18 years of age to enter into and form a legally binding contract. In addition, you must be in good standing and not an individual that has been previously barred from receiving our Services under the laws and statues of the USA or other applicable jurisdiction. Users who wish to register with Smartr or any Smartr vendor are required to provide true, accurate, current and complete information about themselves as prompted by registration forms provided. You agree to update your information or give us notice to update your information should there be any changes, in order to keep registered information true, accurate, current and complete. If you provide information contrary to aforementioned conditions, we may deny you or terminate your access to our Services. We are not responsible for any failure in providing the Services, which result from information that is not true, accurate, current and complete. You further confirm by registering that you have been convicted of any offence, or subject to any court order, relating to assault, violence, and sexual misconduct. IF BUYING A SERVICE: From the moment the submit button is pressed, the app user (known throughout the document as The Buyer) is formally requesting and AGREES to be provided with the Services (defined below) by the brand using Smartr software, be it a SmartrHoldings company, or a vendor that is white-labeling Smartr software. 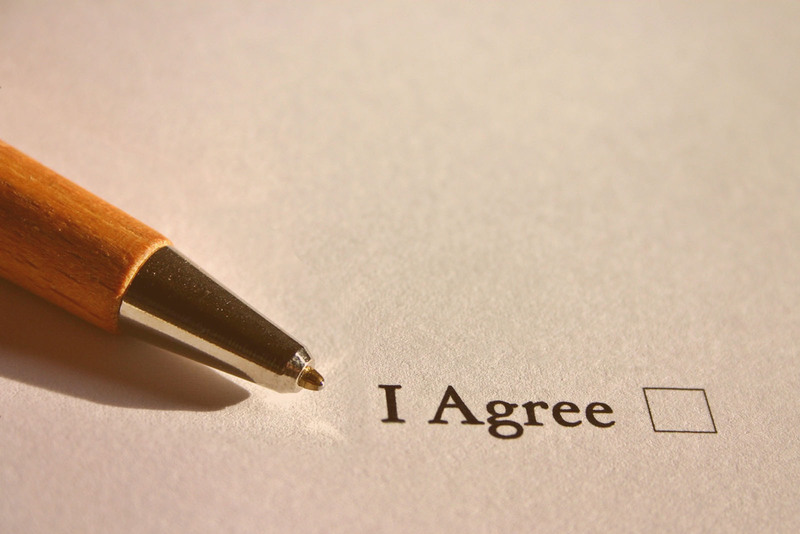 The Service Provider agrees to provide the Services to the Buyer on the terms and conditions of this Agreement. The Service Provider shall provide the following services ("Services") to the Buyer in accordance with the terms of any product or service being sold. The Service Provider may decide to make available additional services; or subsequently discontinue providing any services at any time. Prices of all services are subject to change without notice. The Service Provider shall commence the provision of the Services from the moment a purchase is made in accordance to the terms set within the particular product or service being sold. If a monthly recurring payment is made on any purchase, The Services shall be provided to The Buyer for a period defined in the service/product description. If a single pay purchase is made, The Services shall be provided to The Buyer within the time frame defined in the service/product description. As consideration for the provision of the Services by the Service Provider, the price for the provision of the Services shall be listed in the Service or product description. If there is a fixed term or price set upon a recurring payment or offer, the price shall remain fixed for the length of the term. The vendor also understands there is a 3% + .35 cent transaction fee with every transaction paid to SmartrCommerce, and the transaction fee may change without notice. The Buyer agrees to pay the purchase price; or monthly recurring purchase price (if applicable) to the Service Provider for a period defined in the purchase description; Any purchases NOT subject to monthly recurring payments SHALL NOT be made to pay them. Any purchases NOT subject to automatic renewal shall not be automatically renewed. You are authorizing SmartrCommerce to be your merchant services provider, whether customer, vendor, or promoter, when accepting the terms of this agreement. By providing Smartr with a payment method, you represent that you are authorized to use the payment method that you provided and that any payment information you provide is true and accurate; you also authorize Smartr to charge you for The Services; and authorize SmartrCommerce to charge you for any paid feature of the Services that you choose to sign up for or use while these Terms are in force. We may bill you (a) in advance; (b) at the time of purchase; (c) shortly after purchase; or (d) on a recurring basis for subscription based or monthly recurring Services. Also, we may charge you up to the amount you have approved, and we will notify you in advance of any change in the amount to be charged for recurring billing/Services. We may bill you at the same time for more than one of your prior billing periods for amounts that haven't previously been processed. When you purchase the Services on a monthly recurring/subscription basis (e.g., monthly, every 3 months, every 6 months, or annually (as applicable), you acknowledge and agree that you are authorizing recurring payments, and payments shall be made to SmartrCommer by the method you have chosen at the recurring intervals chosen by your time of purchase, until the subscription for that Service is terminated by you, Smartr, or any vendor using Smartr software. By authorizing recurring payments, you are authorizing Smartr to process such payments as either electronic debits or fund transfers, or as electronic drafts from your designated account (in the case of Automated Clearing House or similar payments), or as charges to your designated account (in the case of credit/debit card or similar payments) (collectively, "Electronic Payments"). Any subsequent fees are generally billed or charged in advance of the applicable recurring/subscription period. If any payment is returned unpaid or if any credit card or similar transaction is rejected or denied, Smartr or its service providers reserve the right to collect any applicable return item, rejection, or insufficient funds fee and to process any such payment as an Electronic Payment. Automatic Renewal: Provided that automatic renewals are allowed in your state, we will inform you by email before automatically renewing your Services, unless purchased on a subscription basis. Once we have informed you that the Services will be automatically renewed, Smartr may automatically renew your Services and charge you the then current price for the renewal term. We will also remind you that we will bill your chosen payment method for the Services renewal, whether it was on file on the renewal date or provided later. We will also provide you with instructions on how you may cancel the Services. You must cancel the Services before the renewal date to avoid being billed for the renewal. The Service Provider agrees to grant to the Buyer a non-exclusive, irrevocable, royalty free license to use, copy, and modify any elements of the Material not specifically created for the Buyer as part of the Services. In respect of the Material specifically created for the Buyer as part of the Services, the Service Provider assigns the full title guarantee to the Buyer and any all of the copyright, other intellectual property rights, and any other data or material used or subsisting in the Material whether finished or unfinished. If any third party intellectual property rights are used in the Material, the Service Provider shall ensure that it has secured all necessary consents and approvals to use such third party intellectual property rights for the Service Provider and the Buyer. For the purposes of this clause, "Material" shall mean the materials, in whatever form, used by the Service Provider to provide the Services and the products, systems, programs or processes, in whatever form, produced by the Service Provider pursuant to this Agreement. All materials used, unless otherwise specified, are property of SmartrHoldings and shall remain property of The Service Provider if this agreement is terminated by either party. If you use this site, you are responsible for maintaining the confidentiality of your account and password and for restricting access to your computer, and you agree to accept responsibility for all activities that occur under your account or password. You may not assign or otherwise transfer your account to any other person or entity. You acknowledge that Smartr is not responsible for third party access to your account that results from theft or misappropriation of your account. SmartrHoldings and its associates reserve the right to refuse or cancel service, terminate accounts, or remove or edit content in our sole discretion. Any Service Provider represents and warrants that it will perform the Services with reasonable care and skill; and the Services and the Materials provided by the Service Provider to the Buyer under this Agreement will not infringe or violate any intellectual property rights or other right of any third party. Subject to the Buyer’s obligation to pay the Price to the Service Provider, either party’s liability in contract, tort or otherwise (including negligence) arising directly out of or in connection with this Agreement or the performance or observance of its obligations under this Agreement and every applicable part of it shall be limited in aggregate to the Price. To the extent it is lawful to exclude the following heads of loss and subject to the Buyer’s obligation to pay the Price, in no event shall either party be liable for any loss of profits, goodwill, loss of business, loss of data or any other indirect or consequential loss or damage whatsoever. Nothing in this clause will serve to limit or exclude either Party’s liability for death or personal injury arising from its own negligence. This Agreement shall be effective on the date of purchase and shall continue, unless terminated sooner, until the Completion Date or End Date of the term which began at the time of purchase. [For European Buyers and Service Providers only] If the Buyer is a consumer and the Distance Selling Directive (97/7/EC) (the "Directive") applies to this Agreement, the Buyer may terminate this Agreement within the relevant timescales prescribed by the regulations or laws in the relevant Member State which implement the requirements of the Directive in respect of a right for the Buyer to withdraw from a contract. In the event of termination in accordance with this Clause 2.4, the liability of the Buyer to the Service Provider shall be as prescribed in the Directive or in any regulations or laws implementing its requirements in the relevant Member States. Any termination of this Agreement (howsoever occasioned) shall not affect any accrued rights or liabilities of either Party nor shall it affect the coming into force or the continuance in force of any provision hereof which is expressly or by implication intended to come into or continue in force on or after such termination. A request of termination of this agreement on the part of The Buyer does not rid The Buyer of their financial obligations to Smartr or any Smartr vendor until such agreement is approved by them. The Parties acknowledge and agree that the Services performed by the Service Provider, its employees, agents or sub-contractors shall be as an independent contractor and that nothing in this Agreement shall be deemed to constitute a partnership, employment, joint venture, agency relationship, or otherwise between the parties. Neither Party will use, copy, adapt, alter or part with possession of any information of the other which is disclosed or otherwise comes into its possession under or in relation to this Agreement and which is of a confidential nature. This obligation will not apply to information which the recipient can prove was in its possession at the date it was received or obtained or which the recipient obtains from some other person with good legal title to it or which is in or comes into the public domain otherwise than through the default or negligence of the recipient or which is independently developed by or for the recipient. Some areas of the Service allow Members to post data and other information (“Member Content”). You are solely responsible for your Member Content that you upload, publish, display, link to or otherwise make available (hereinafter, “post”) within any Smartr software, and you agree that we are only acting as a passive conduit for your online distribution and publication of your Member Content and we have no responsibility in connection therewith. Content is submitted through websites or apps (ratings, reviews, compliments, invitations, check-ins, messages, and information that user publicly displays or displayed in your account profile). contains any information or content that you know is not correct and current. You agree that any Member Content that you post does not and will not violate third-party rights of any kind, including without limitation any Intellectual Property Rights, rights of publicity and privacy. The failure of either party to enforce its rights under this Agreement at any time for any period shall not be construed as a waiver of such rights. If any part, term or provision of this Agreement is held to be illegal or unenforceable, neither the validity nor enforceability of the remainder of this Agreement shall be affected. Neither Party shall assign or transfer all or any part of its rights under this Agreement without the consent of the other Party. This Agreement may not be amended by The Service Provider for any other reason without the prior written notice of its change to The Buyer. This Agreement constitutes the entire understanding between the Parties relating to the subject matter hereof unless any representation or warranty made about this Agreement was made fraudulently and, save as may be expressly referred to or referenced herein, supersedes all prior representations, writings, negotiations or understandings with respect hereto. Neither Party shall be liable for failure to perform or delay in performing any obligation under this Agreement if the failure or delay is caused by any circumstances beyond its reasonable control, including but not limited to acts of god, war, civil commotion or industrial dispute. If such delay or failure continues for at least 7 days, the Party not affected by such delay or failure shall be entitled to terminate this Agreement by notice in writing to the other. Smartr was created to distribute money to the general public. The billions upon billions of dollars it hopes to make will be shared with its users, indefinitely. Any company competing against us, is only doing it to make money for themselves, not to give money back to you. Only SmartrCommerce can and will determine if you have met the requirements to receive payouts. Our service, currently, is only providing payments declared here. It is not permitted to payout earnings for unauthorized Services. We are not responsible for any error or omission in the name, mailing address, or Destination Account information you provide, or for any errors, bugs or other problems of the Payment Processor. You understand that the Payout amount may be changed by the Service at any time. Payouts are made to a valid account according to the payout methods and schedules provided by our Service. We may delay or decide not to make a payout to fulfill our compliance obligations and internal risk policies, or for violations of these Terms. You may only do transactions through the Merchant Payment Services that are authorized by our Service. Smartr reserves the right, in its sole discretion, to increase the applicable Transaction Fees for any Smartr vendors. You are solely responsible for all of the terms and conditions of any transactions involving the usage of our Service, including without limitation, terms regarding payment, returns, warranties, shipping, handling, transportation, storage, liability, insurance fees, applicable taxes, title and licenses, all of which must be in accordance with applicable law. You shall comply with all applicable domestic and international laws, statutes, ordinances and regulations regarding your use of Smartr software and, if applicable, your listing, purchase, and/or solicitation of offers to purchase etc. In addition, you shall be responsible for paying any and all taxes applicable to any services you use within Smartr’s ecosystem. Promoters of ANY brand are independent contractors for Smartr and shall agree to be an independent contractor by accepting these terms. You are solely responsible (i) for determining what, if any, taxes or fees apply to your Transactions; and (ii) assessing, collecting, reporting, or remitting Taxes to the appropriate tax authority. When you provide us your tax identification number, you agree that we may send electronic reports of tax documents (including Form 1099-K and Form 1099) to you. We are not obligated to nor will we determine the applicability of any Taxes, or calculate, collect, report, or remit any Taxes to any tax authority arising from any Transaction, but we may withhold any amounts that we deem appropriate to cover such Taxes if we cannot validate any tax identification number you provide us. We may send documents to you and tax authorities for Transactions processed using the Services. Specifically, pursuant to the Internal Revenue Code, we may be required to file an informational return with the IRS reporting Transactions and third-party network transactions with legal entities or persons that occur in a given calendar year. If you use Payment Services, you acknowledge that we will report the total amount of payments you receive each calendar year as required by the Internal Revenue Service. Smartr does not knowingly collect, either online or offline, personal information from persons under the age of thirteen. If you are under 18, you may use Smartr Marketing only with permission of a parent or guardian. Smartr software may contain links to other websites or apps. These links are not under the control of SmartrHoldings or any Smartr brands, Smartr is not responsible for the contents of any links, including without limitation any link contained in a link, or any changes or updates to a link. Smartr is providing these links to you only as a convenience, and the inclusion of any link does not imply endorsement by SmartrHoldings, any association with its operators. Certain services made available via SmartrHoldings or any of its vendors are delivered by third party sites and organizations. By using any product, service or functionality originating from Smartr, you hereby acknowledge and consent that Smartr may share such information and data with any third party with whom Smartr has a contractual relationship to provide the requested product, service or functionality on behalf of Smartr users and customers, or the users and customers of any vendors using Smartr software. You will be able to connect your Smartr account to third party accounts. By connecting your Smartr account to your third party account, you acknowledge and agree that you are consenting to the continuous release of information about you to others (in accordance with your privacy settings on those third party sites). If you do not want information about you to be shared in this manner, do not use this feature. The Service is controlled, operated and administered by SmartrHoldings from our offices within the USA. If you access the Service from a location outside USA, you are responsible for compliance with all local laws. You agree that you will not use in any country or in any manner prohibited by any applicable laws, restrictions or regulations. Any arbitration under these Terms and Conditions will take place on an individual basis; class arbitrations and class/representative/collective actions are not permitted. THE PARTIES AGREE THAT A PARTY MAY BRING CLAIMS AGAINST THE OTHER ONLY IN EACH'S INDIVIDUAL CAPACITY, AND NOT AS A PLAINTIFF OR CLASS MEMBER IN ANY PUTATIVE CLASS, COLLECTIVE AND/ OR REPRESENTATIVE PROCEEDING, SUCH AS IN THE FORM OF A PRIVATE ATTORNEY GENERAL ACTION AGAINST THE OTHER. Further, unless both you and Smartr agree otherwise, the arbitrator may not consolidate more than one person's claims, and may not otherwise preside over any form of a representative or class proceeding. Change the terms and conditions of this Agreement; Enhance, add to, modify or discontinue or software or other Offerings, or any portion of the software or other Offerings, at any time in our sole discretion. From time to time, we reserve the right, in our sole discretion, to modify, update, add to, discontinue, remove, revise or otherwise change any portion of this Agreement, in whole or in part, at any time. For changes to this Agreement that we consider to be material or substantial, we will place a notice on the software by revising our Terms and Conditions link, to read as "Updated Terms and Conditions" for a reasonable amount of time. If you provide information to us, access or use the software or participate in any Offering in any way after this Agreement has been changed, you will be deemed to have read, understood and unconditionally consented to and agreed to such changes. The most current version of this Agreement will be available on our software and will supersede all previous versions of this Agreement.